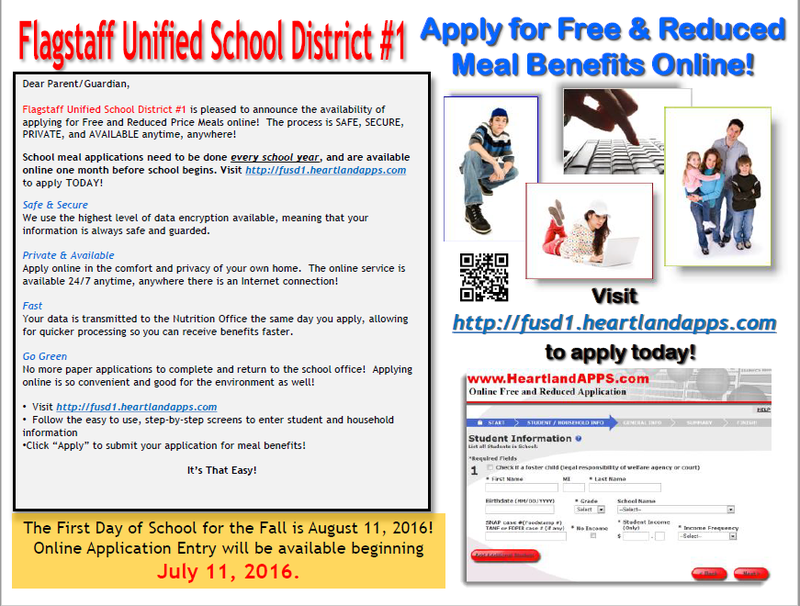 Applications, in English and Spanish, are available for free and reduced lunches. 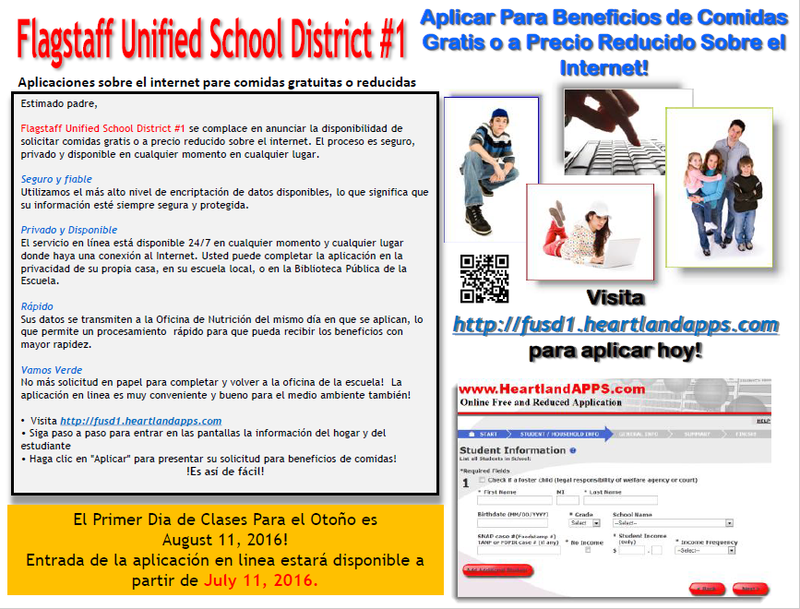 Visit http://fusd1.heartlandapps.com to complete the application (available as of July 11, 2016 for the 2016-2017 school year). Once meal applications are received at the Food Service office, applications take approximately 10 business days to be processed.